The Matka Nordic Travel Fair, the largest travel industry show in northern Europe, opened yesterday (January 16) with its hugely successful Workshop Day. 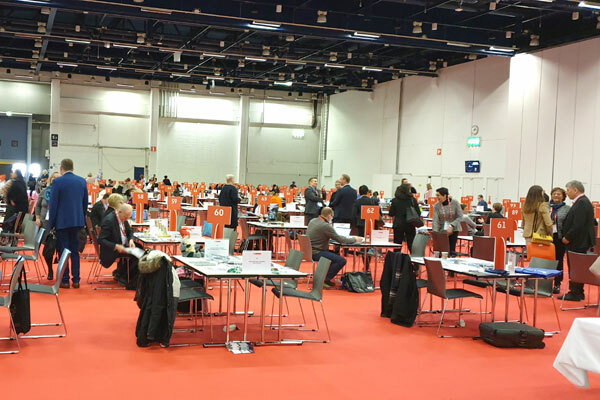 The B2B as well as B2C expo, which has drawn more than 1,000 exhibitors from over 80 countries, will run till January 20 at the Messukeskus Expo and Convention Centre in Helsinki, Finland. More than 60,000 consumers and 20,000 travel industry professionals are expected to attend the event over the five days of the show. Nearly 290 buyers from 35 countries, 189 supplier companies from 26 countries and a total of nearly 6,000 meetings were held during the Workshop Day. The fair has “hidden treasures” as its main theme, highlighting some of the new interesting, unique destinations across the world, especially in the Nordic region. It also has sustainable travel as another key focus. The fair is an impressive start to the travel year and a unique opportunity to get acquainted with Finland and the whole world under one roof, the organisers Messukeskus Expo said. The Finnish travel industry has boomed in the past few years with major players focusing strongly on quality, efficiency and innovation to offer the best experience to both business and leisure travellers, they said. “The expo is easy to navigate and we offer a compact facility that is modern and has the latest technology,” said Anni Vepsäläinen, CEO of Messukeskus Expo and Convention Centre. “Due to its compact nature, Matka makes it possible to see the whole event and all its exhibitors and destinations during one day." “While numbers are important, we are focusing now more on quality of visitors,” she added. Some of the interesting keynote topics that will be discussed at the expo include: Can tourism save the world? ; Modern Sales Playbook – How modern sales professional sells successfully in 2020; and Tourism as a force of good – why sustainability is a key driver for TUI. Meanwhile, a survey released by the Matka Nordic Travel Fair has found that Finnish travellers are particularly interested in relaxing, experiencing local culture and everyday life. When travelling, Finns are responsible and follow instructions and respect customs of the destination, it said. They also find local shops more interesting than large shopping centres, it said.